Central Union of Municipalities of Greece President George Patoulis: "We are working systematically to offer certified Health tourism services, attractive to Germany and third countries"
Greece's Health Tourism and its prospects of growth, with the assistance of Greece’s and German Regional Government support and know how, has been among the central topics discussed at the 8th annual Hellenic-German Assembly, which closed its works today in Hersonissos, Crete. The President of Central Union of Municipalities of Greece Mr. George Patoulis, and the German Minister, authorized commissioner by Chancellor Angela Merkel for the Greek-German Cooperation, Mr. Norbert Barthle, and the Vice-President of the Association of Municipalities and Communities of Germany and President of the Union of Municipalities of Baden-Württemberg Mr. Roger Kehle, made an agreement for the cooperation between Germany and Greece for the further development of Greece’s Health Tourism under the auspices of the Hellenic-German Assembly, that implements the Regional Cooperation of the two countries, with the support of the Central Union of Municipalities of Greece, in the perspective of a united government of Europe. The Hellenic- German cooperation for Health Tourism is being activated by an official Working Committee of the two countries with the participation of the local governments’ dignitaries and members of the scientific community of Greece and Germany, which will carry out annual conferences and scientific forums on Health Tourism for the cooperation of the two countries on Medical, Wellbeing and Spa Tourism, with the exchange of Health Tourists and the horizontal collaboration of Medical Specialties, Insurance and Investment Funds. 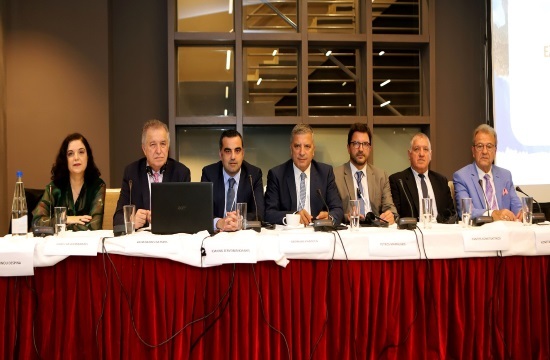 "Our meeting today takes place here in Hersonissos Crete, on the land of the well-known Cretan diet, a place with a developed rural and tourist economy, all being factors that, together with Greece’s climate conditions, create the ideal background for the promotion of Health Tourism. The German tourism market sends annually an increasing number of visitors to Greece, - reaching the four million German tourists this year- , and is estimated to strongly benefit from the development of Greece’s Health Tourism. 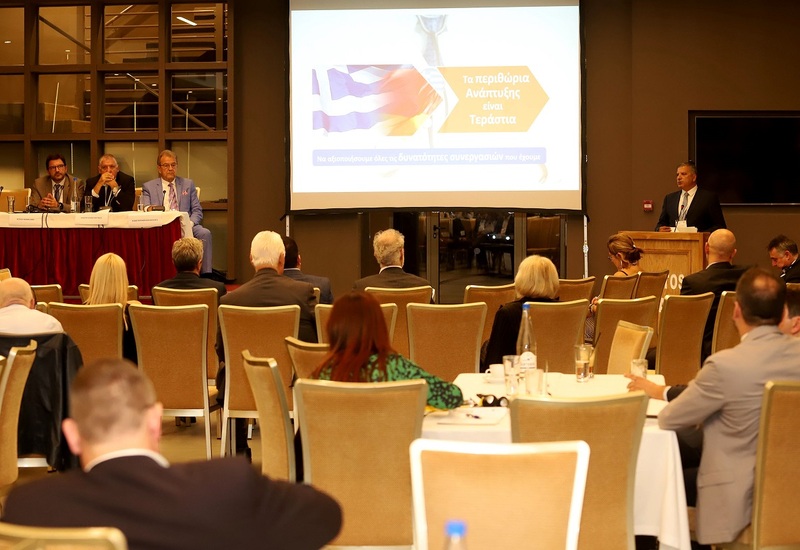 With the cooperation of the German Regional government’s dignitaries we look forward to exploit the opportunities the European Union now offers in this direction ", Mr. George Patoulis, President of the Central Union of Municiplaities of Greece said in his speech at the round table that was held with the participation of medical experts within the framework of the Hellenic- German Assembly. The President of Central Union of Municipalities of Greece ( KEDE) explained that the European Union creates today the ideal conditions for tourism development by removing bureaucratic difficulties, bridging the administrative differences of the EU member states and by implementing the financing policy, "a very favorable conjuncture that invites us to joint forces , " Mr. Patoulis said, adding that Greece offers the advantages that meet the new international trends of Health and Wellness Tourism. "Many other issues emerging in the field of Health Tourism demand the creative co-operation of the regional government of the two countries" said the President of KEDE, "such as the prospects for the development and utilization of the thermal springs and spa towns of Greece and Germany, with the combination of therapies, conducting training programs, and re-directing health tourists who look for alternative wellness treatments to more than one travel destinations. " "Medical and Wellness tourism is obviously the most dynamic section of Tourism which could be further developed between Greece and Germany and benefit both countries . 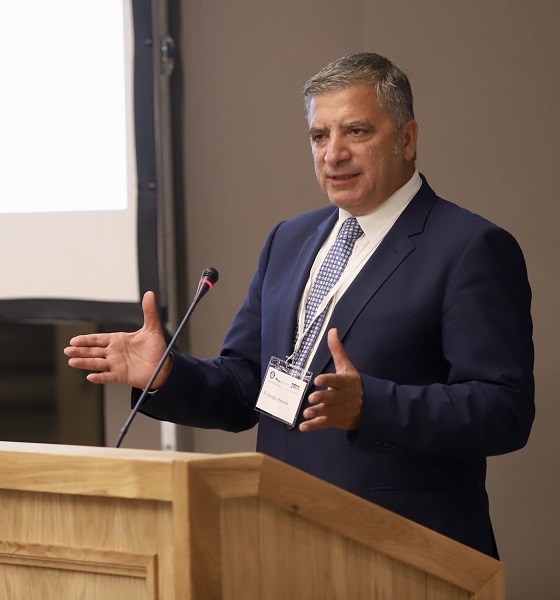 The geophysical factors that Greece offers which contribute to the travelers’ health as well as the top scientific expertise, medical and tourism infrastructure and services, our country can offer, aim to attract massive numbers of tourists from the world market ", underlined in his speech Mr. George Patoulis. President of KEDE, President of the National Council of Health Tourism ELITOUR, President of Athens Medical Association (ISA) and President of the International Health Tourism Center. At Greece’s Health Tourism Round Table, which was held with great success within the framework of the Hellenic-German Assembly, Mr. Constantinos Pantos, Vice President of the International Health Tourism Center, gave a speech on IVF medical tourists visiting today Greece all over the world, while Mr. Constantinos Kouskoukis, President of the Hellenic Academy of Thermal Medicine explained the challenges of the development of Greece’s spa towns. Speakers also were the Secretary General of the International Health Tourism Center and ELITOUR Mr. Petros Mamalakis, the IVF expert, Doctor of the University of Bonn, Mr. Yannis Zervomanolakis, and nutritionist Mrs.Despina Komninou, who presented the new promising sector of Health Tourism, called Medical Nutrition Tourism.